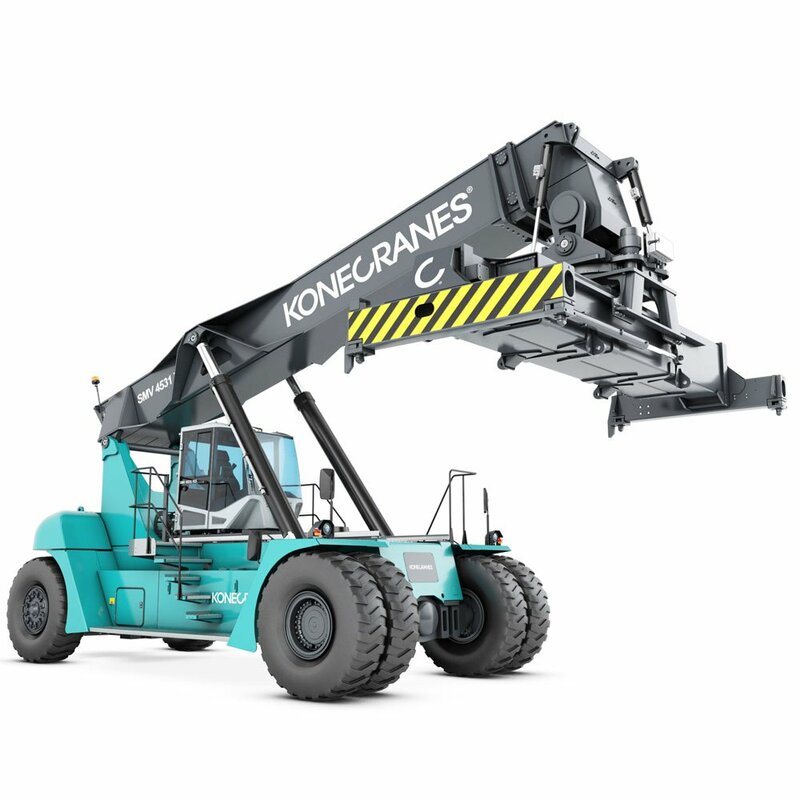 Konecranes intermodal reach stackers are the ideal solution for loading and unloading fully loaded containers and trailers. The special telescopic intermodal spreader with lift legs provides the ability to lift both containers and trailers. Capable of reaching across two train tracks and up to 3 rows deep for container stacking, these intermodal reach stackers are ideal in ports and rail yards.